We visit Collingwood, Ontario a few times a year, and I always try to stop by the Collingwood Olive Oil Company. This adorable little store has over 50 different olive oils and balsamic vinegars to try! My mom introduced me to all of these delicious oils and vinegars a few years ago. 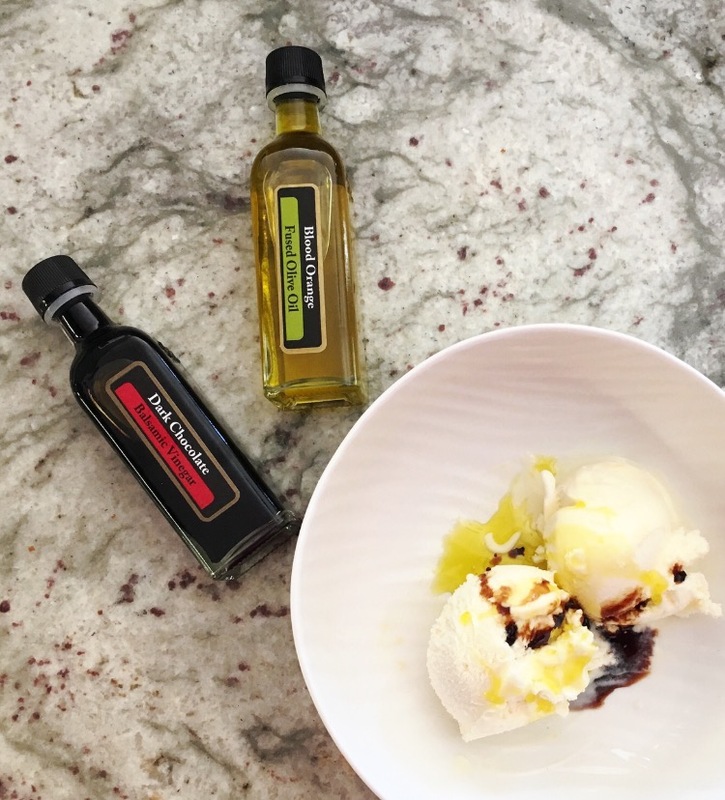 I love their basil-infused olive oil, and when I was at the Collingwood Olive Oil Co this weekend, I tasted their Neapolitan Herb Balsamic. My absolute favourite though is their Decadence duo. This pair turns a simple bowl of ice cream into a yummy and unique dessert. The Decadence Duo is made up of a bottle of Blood Orange Olive Oil and a bottle of Dark Chocolate Balsamic Vinegar. Begin with a bowl of regular vanilla ice cream. Top with 1 teaspoon of blood orange olive oil first. Then add 1 teaspoon of the dark chocolate balsamic vinegar. And voilà! The easiest, three ingredient dessert you ever did make. Fancy enough to serve at a your next dinner party and yummy enough that it also passed the 4 year old's taste test. I'd garnish with sliced strawberries or clementine pieces. 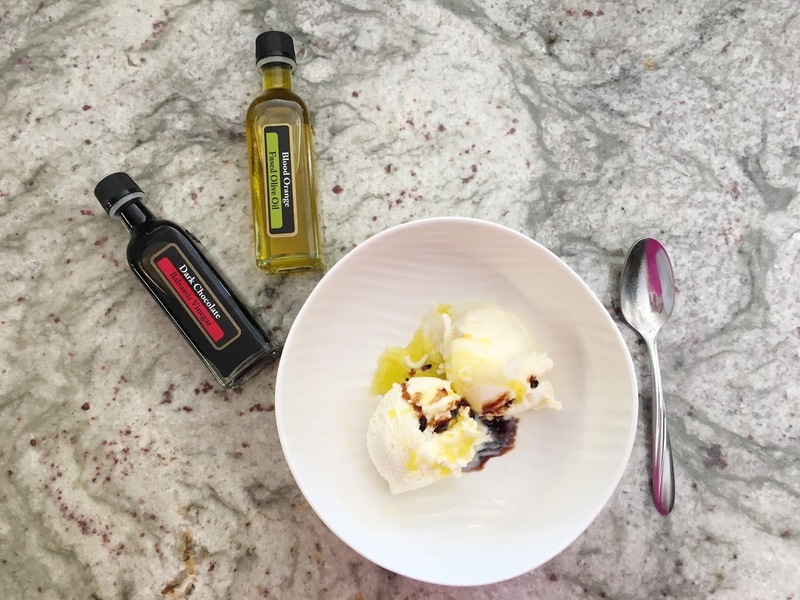 The best way to check out the Collingwood Olive Oil Company is if you are able to visit the store and taste their products; however, they also ship within Canada. The Decadence gift set is $10 (+ shipping).